Sol Mexican Grill (1251 H Street, NE) is set to open its long awaited second floor tomorrow and will celebrate with a grand opening party including a mariachi band. The downstairs section of the restaurant opened in April (you can see our coverage here), but the upstairs section and bar was held up for several months due to permitting delays with the D.C. government. After finally navigating through the District’s regulatory maze successfully, the owners are very excited to debut the upstairs section. 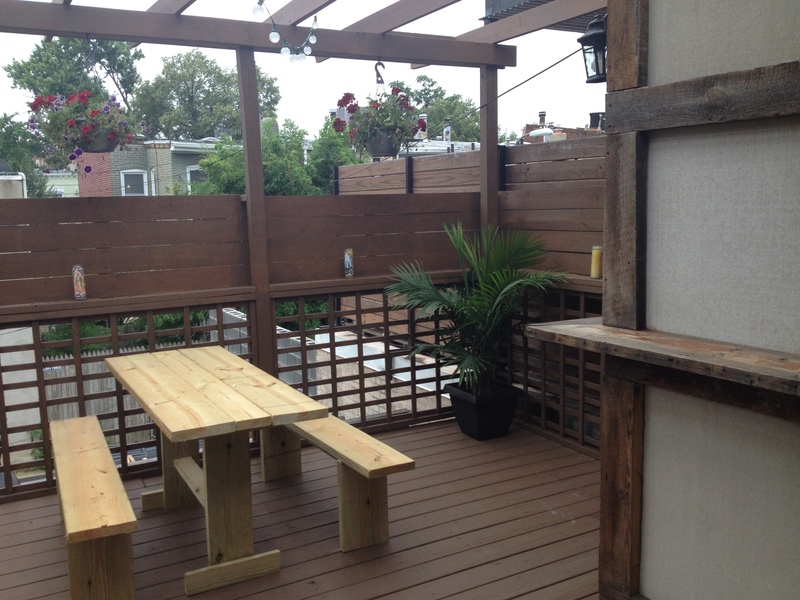 The upstairs section features a seating area overlooking H Street, a bar, and then an outdoor patio with several tables. While the downstairs section has a menu that is more fast casual style like Chipotle, the upstairs section has full table service throughout. You can check out the complete menu here. The upstairs section is open for dinner and late night service starting at 5pm (the downstairs section is also open for lunch) and going until 2am on the weekends. The kitchen will remain open until 11pm on the weekends. The bar has several beers on draft that will rotate. Currently, they have Dos Equis and Modello on tap. 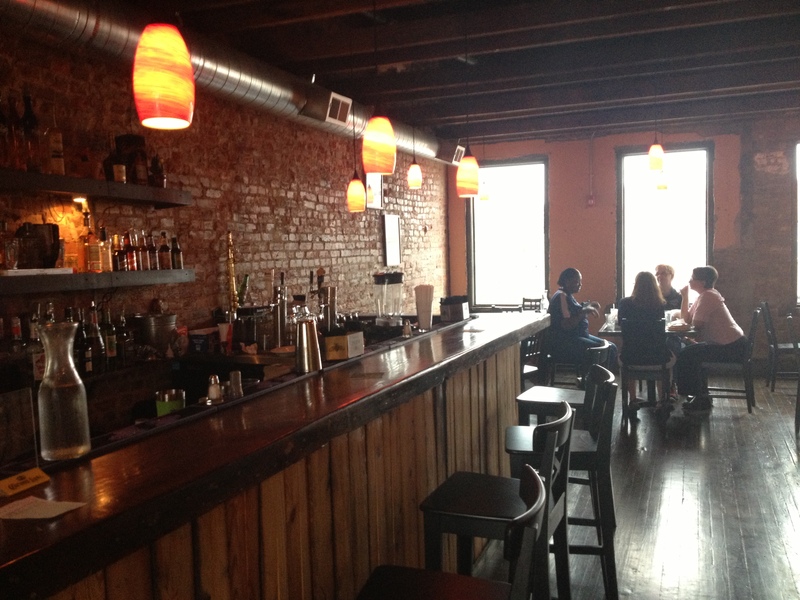 Sol will specialize in a variety of different margaritas that are served either on the rocks or blended made to order. For an opening special, they will be serving their standard margarita for $5. 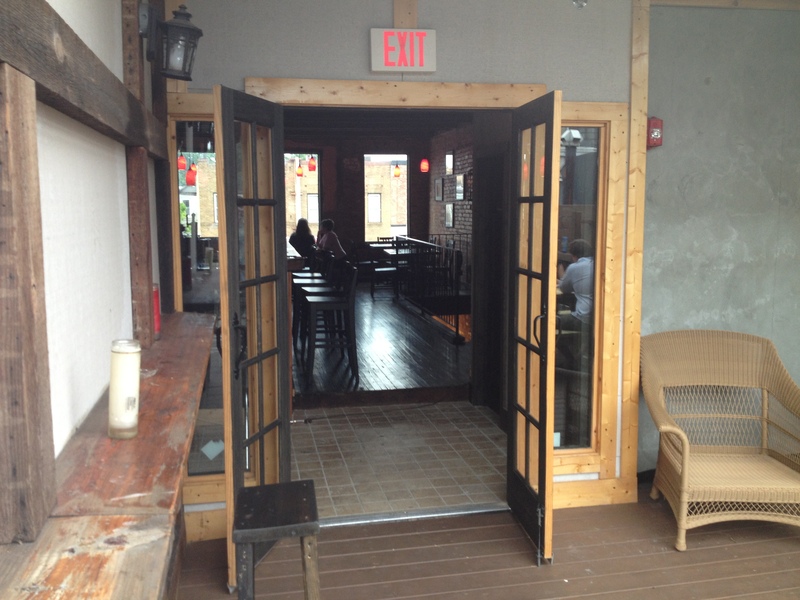 We sampled one during their soft opening this week and were quite impressed. 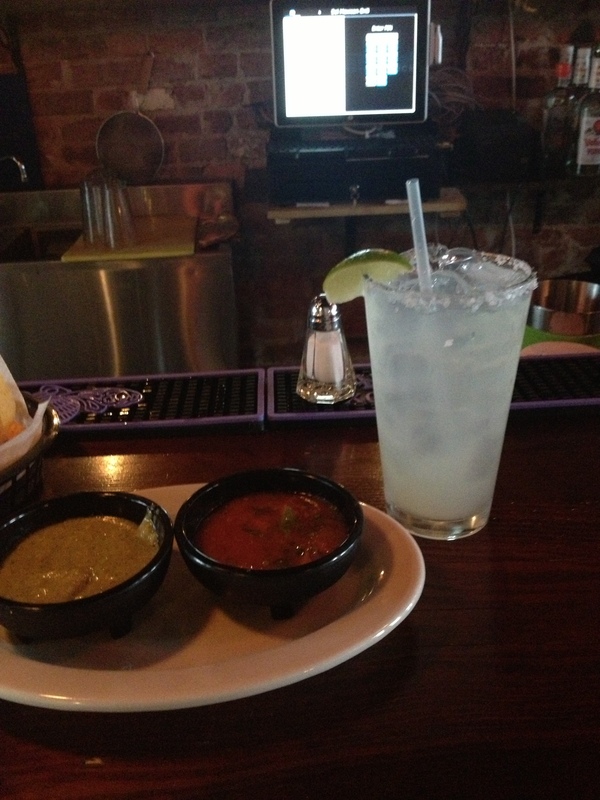 When you order a drink, you will immediately be served with chips and two different salas (a spicy salsa roja and a milder salsa verde). During the soft opening this week, we had the opportunity to sample several of the dishes that Sol will be serving. All of them impressed due to their freshness and careful mix of spices. 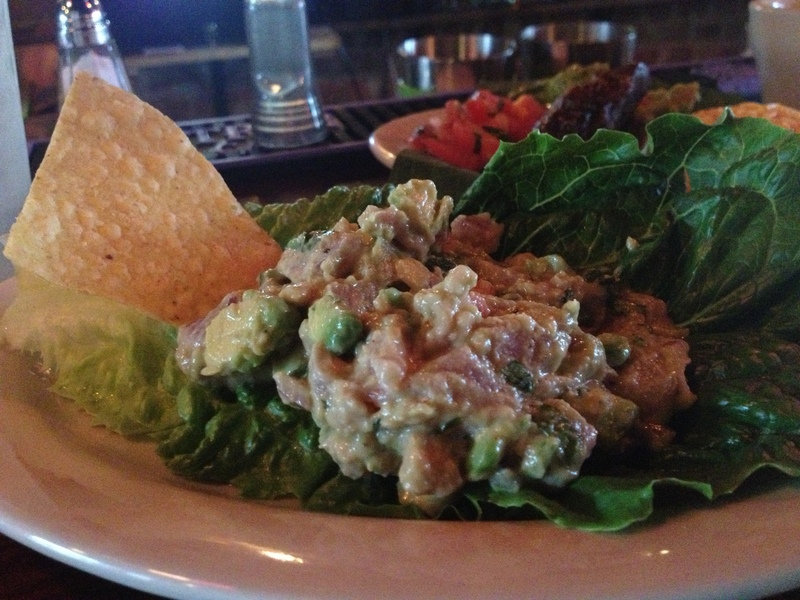 We started with a tuna tartare appetizer starring tuna marinated in citrus and served with fresh avocado. The citrus marinate enhanced the freshness of the tuna and united with the avocado to create a savory tuna tartare guacamole that would be perfect to share with friends. 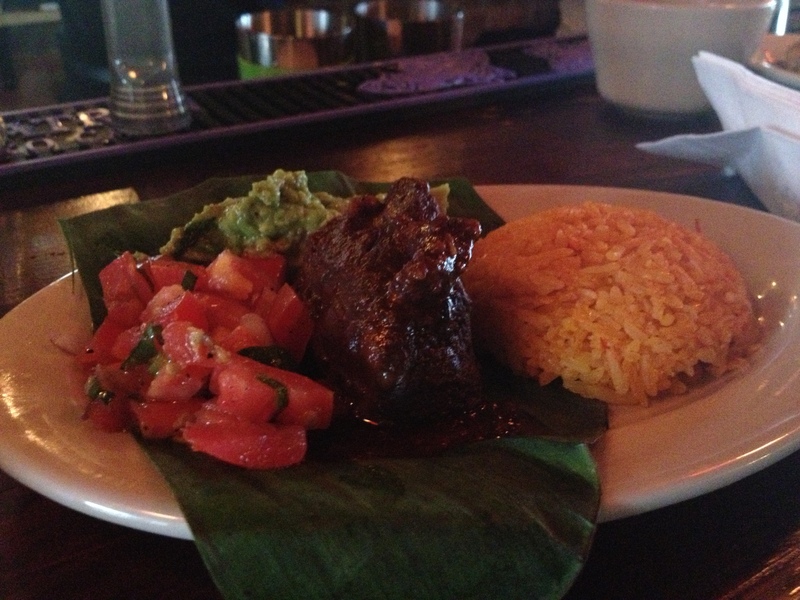 Next up we sampled the Barbacoa de Chivo or shredded barbacoa served with rice and a tomato salad. The barbacoa was tenderly cooked in the owner’s special spices to the perfect point where it fell apart when it hit your fork. Finally, we tried the chicken and beef enchiladas both of which were cooked well and paired nicely with the two salsas that are served with the chips. 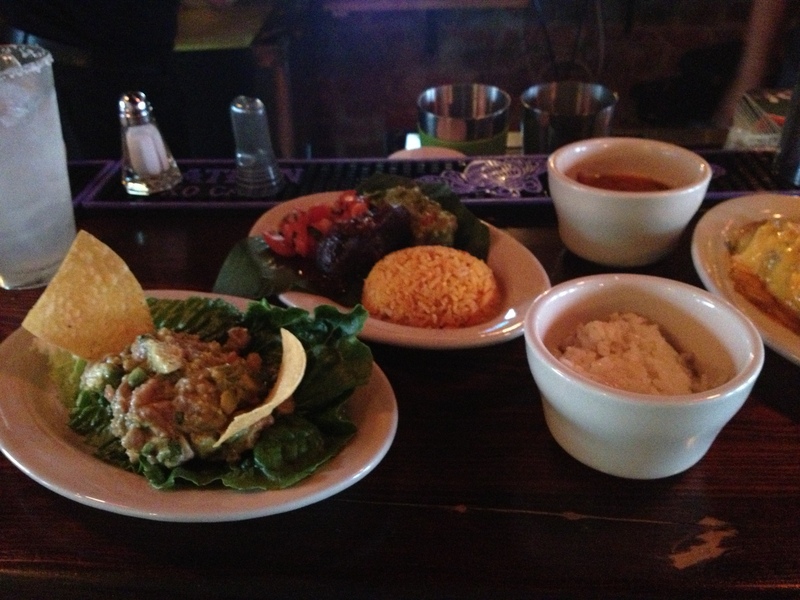 The dishes were served with sides of Mexican beans and rice. While many times beans served on the side at a Mexican restaurant are somewhat forgettable, the beans served at Sol had a deep smokey taste (aided by the pork that they were cooked in) that left a lasting (and tasty) impression. Starting tomorrow, Sol Mexican Grill will have both of its floors open full time. The very friendly owners and staff are excited to show off the new floor and the expanded menu that they have been working on for the past several months. Based upon the success of the first floor over the past few months and the dishes we sampled this week during the soft opening, we encourage everyone to check out Sol’s second floor as soon as possible for a cool and friendly vibe, good drinks, and delicious food.